The Biofeedback has just announced the release of Flow HRV, a new biofeedback device to help manage stress electronically. 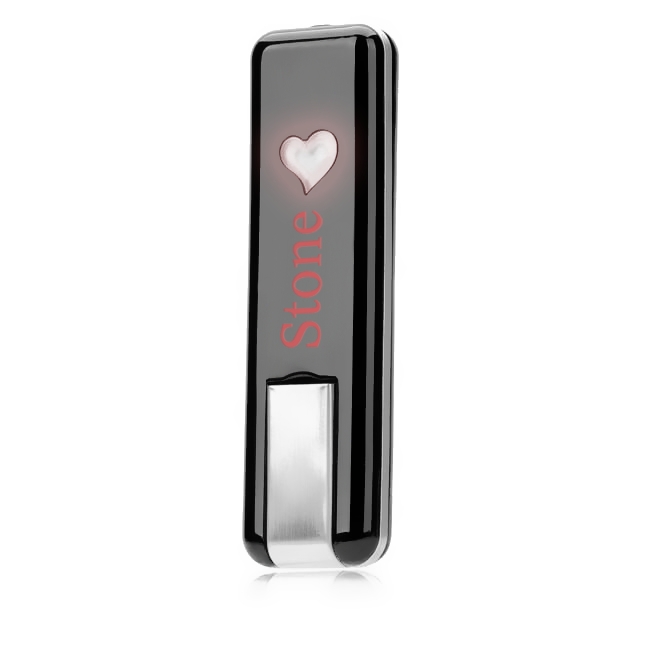 Flow HRV is a descendant of its PC-based equivalent, Stone. Monitors the user’s heart rate and analyzes data from a biofeedback sensor which is attached to the user’s finger or ear. The software package includes 3 games, analyze progress and motivate as well. It’s a set of gamified guided meditations, visualizations and breathing exercises combined with latest heart rate variability biofeedback technology. The Flow games are controlled by the power of the user’s mind, an evolving practice for stress management and mindfulness. When the mind is cleared of negative and nagging thought waves, the user advances to the game at hand. For instance, in the game “Crystal Clear”, the object is to fill a bowl with water. The clearer the mind, the larger the water drops are that fall into the bowl. While the biofeedback device is qualified for use by professionals like psychologists, counselors, and psychiatrists, it is now available to the public and does not require a prescription. There are no side effects and, according to experts, the benefits are immense. “Although the technology behind the biofeedback equipment and device are highly complicated, using it is very simple,” explained Marek Jacenko. Psychological studies prove that as one gets in touch with their individual levels of stress and anxiety, the management of them is more possible. The game serves to promote awareness and to help provide solutions as well. The system creatively utilizes the mesolimbic dopamine pathway which signals reward and instigates motivation. In addition, promotes awareness of stress and emotions, introduces avenues to control stress levels, help activates endorphins. The product comes with a 24-month warranty. Currently, it is available for Android tablet and smartphones only. It can be used by multiple users which make it even more affordable. “Feel better and live longer” is the motto of the COMM Studios. The biofeedback device and biofeedback equipment are available on the Flow HVR website and on Amazon. New to the market. Europe’s bestselling biofeedback game creators have made their games available for distribution across America. COMM Studios announces STONE, Europe’s bestselling biofeedback game system to America It’s four games include: Instant Relaxation – This is a breathing exercise game guided by your heart; Crystal Clear-A game that helps you focus your thoughts; Inner Energy- A guided meditation; and a the Bonus game Mental Magic- A fun game where you use your mind to control a racecar on a track. Play and compete with friends and family. Palm Beach, Florida – March 29, 2014 – COMM Studios today announced STONE-Europe’s bestselling biofeedback game now available for distribution across America. What makes STONE unique is that it’s easy to use and the results can be measured immediately because the user places a sensor on his or her earlobe or finder and it measures the heartbeat as you play the games. Playing these biofeedback games help people to manage their thoughts and control their levels of stress. Learn to control your thought and emotions and you will earn points in the game, and best of all you will be more focused and able to concentrate. The games can help children or adults with ADD and ADDHD to be more productive. When someone who has not been able to focus and concentrate for a long time learns better skills of self-management and focus, improved results lead to improved self-esteem. Imagine a product that can help you get more done and feel better about yourself and you’ve got STONE. Stone is sold in two versions. One version is this home version, the other is a PRO Version, often purchased by professionals including psychologists and coaches for working with their clients. Stone Home version with a suggested retail price $147, and the PRO version, with a suggested retail price of $197. 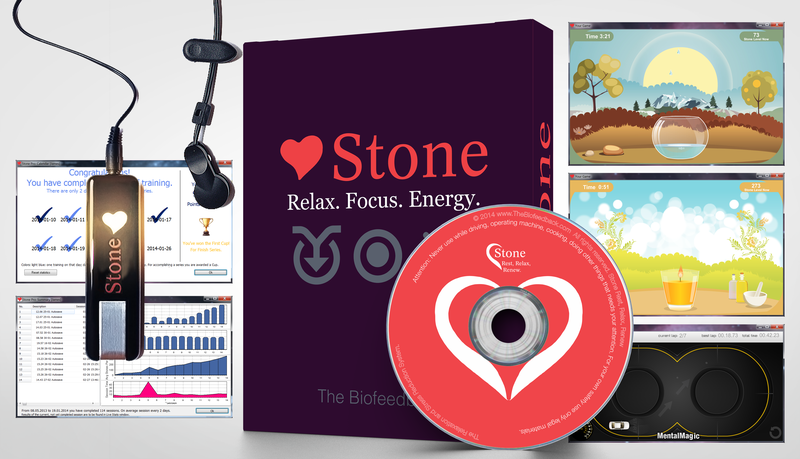 STONE is available through Amazon.com (http://www.amazon.com/Biofeedback-Stone-Pro-Relaxation-Meditation/dp/B00I0EV8ZO). The Company has been designing mind training devices in Europe for 11 years. To date they have developed 3 mind-training devices with a large collection of software and games. Our mission is make the world a better place to live by helping people manage their emotions ad control their stress. We will improve people’s productivity by helping them concentrate and become more focused.